Photos of the World is what drives Panoramio. We wanted to bring it to the extreme and that is why our new Welcome page changed today to a much more visual version that will sponsor photos from Cool places, Panoramio Groups and the Panoramio Contest on top of a full page map. 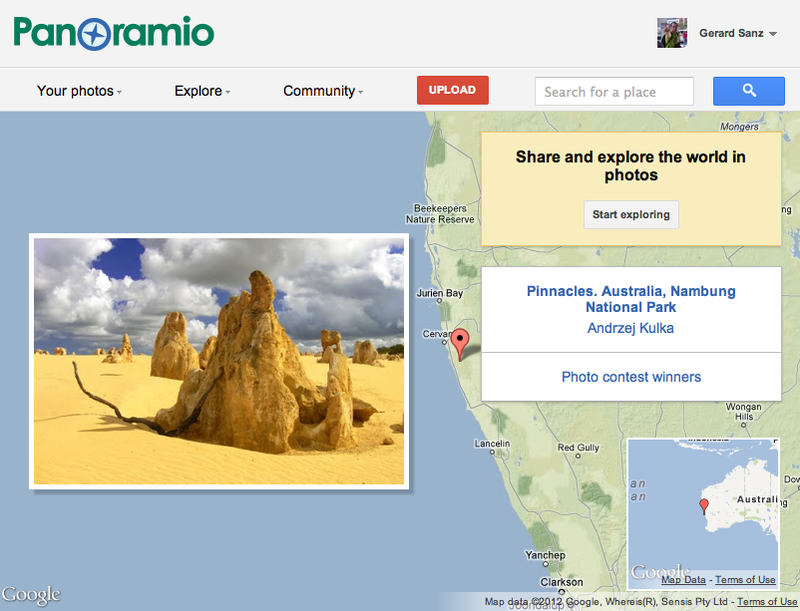 Open a browser window, go to www.panoramio.com, grab a tea and discover the wonderful content created by the Panoramio community. Go to “Explore” to discover more content, and if you feel adventurous Share your photos in Panoramio so everyone in the world can enjoy the beauty of your region or the places you discovered in your trips. If you are logged in to Panoramio and want to visit the welcome page, just click on the Panoramio logo in any page and get ready to Explore!